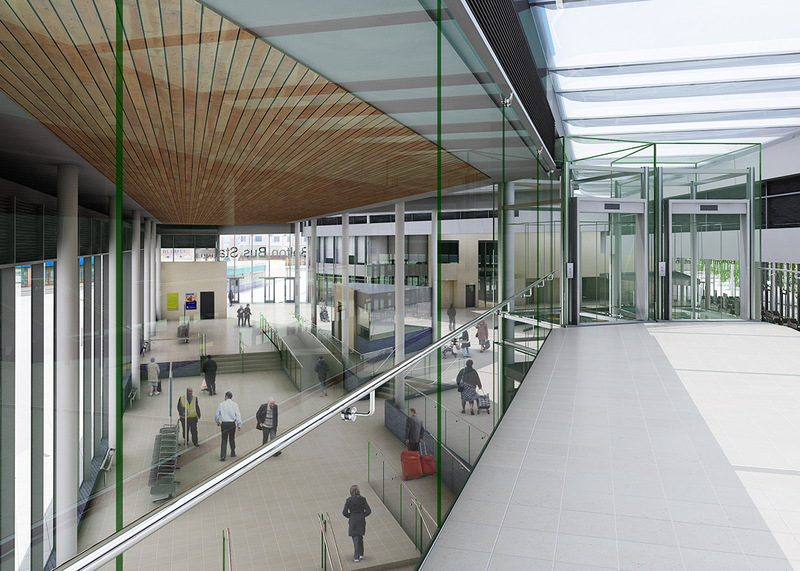 THE PRACTICE WAS COMMISSIONED BY TFGM TO DESIGN A MAJOR NEW BUS INTERCHANGE FACILITY WITH DIRECT CONNECTIVITY TO THE EXISTING RAILWAY STATION VIA AN ENCLOSED SKY LINK WALKWAY TO ENCOURAGE MODAL SHIFT. 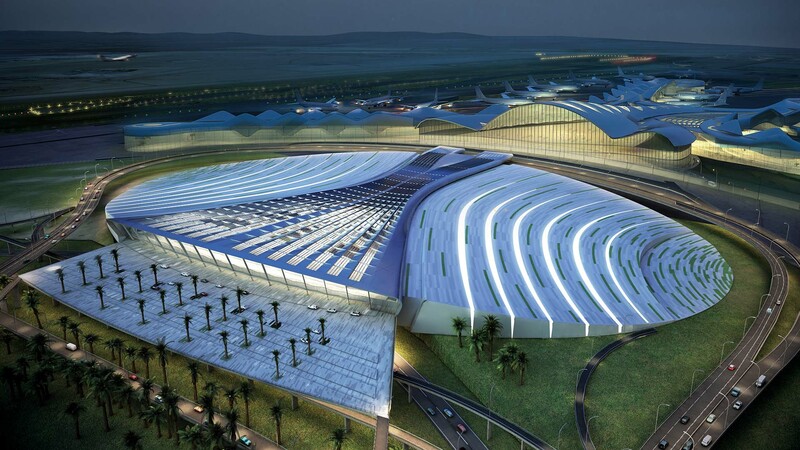 The facility will fully integrate the bus and heavy rail facilities together with provision for taxis. 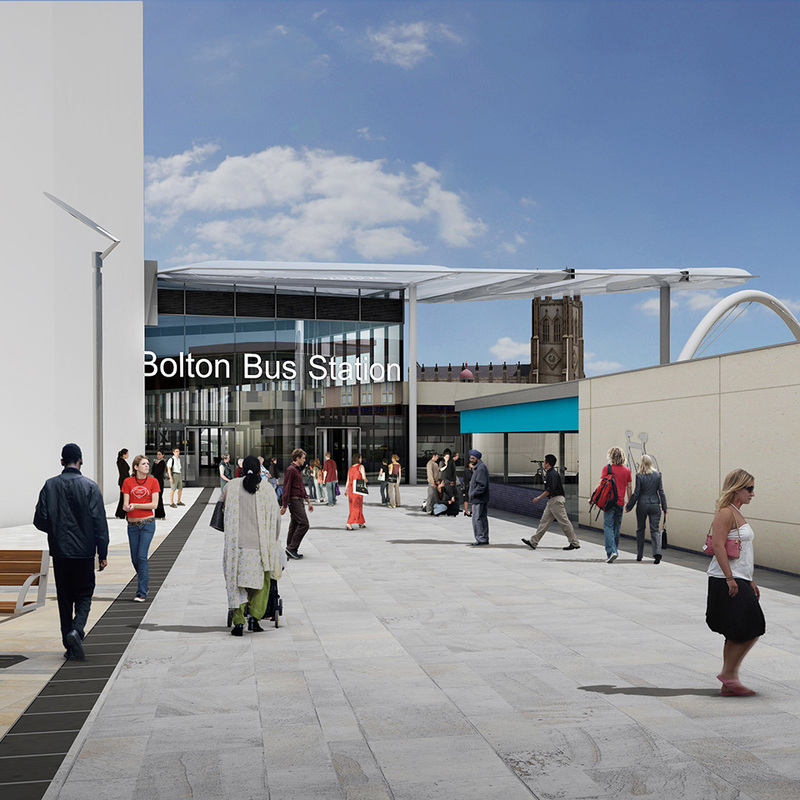 The bus interchange concourse, flooded with natural light from the large ETFE roof, allows for the inclusion of retail within the concourse and commercial development adjacent, to complement the Bolton Town Centre Strategy. 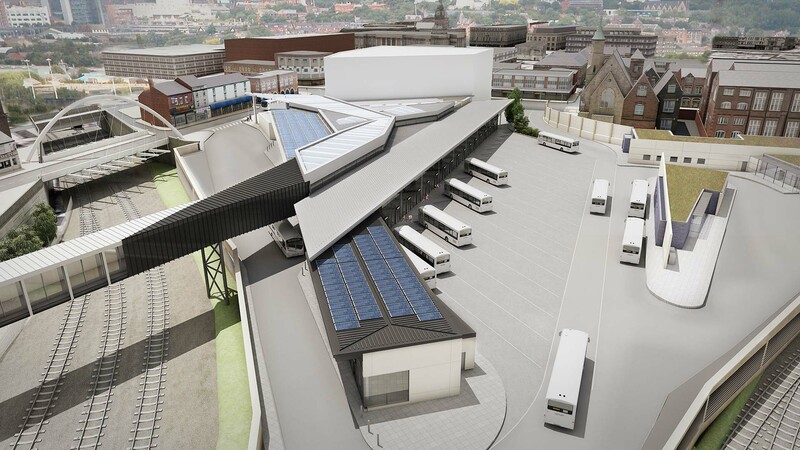 The new design has been developed in conjunction with the Local Authority to ensure the interchange fits with the wider town centre regeneration proposals and will remove existing barriers between the various modes of transport and provide the most modern, centralised passenger facilities. 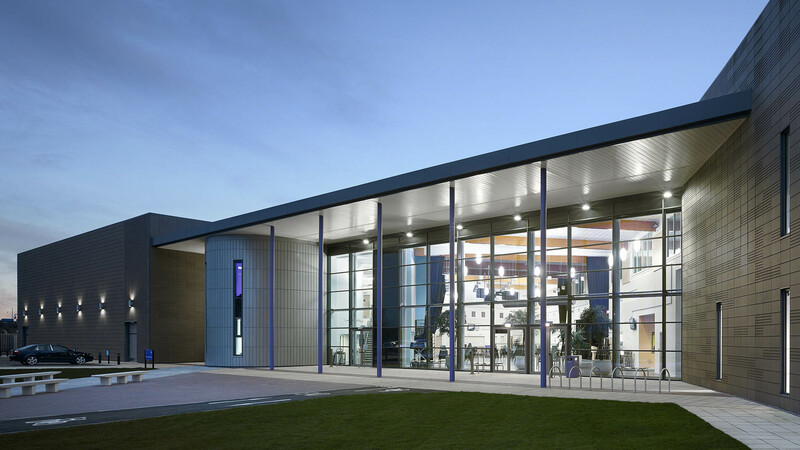 As part of this development, the new 23 stand bus station will also provide a bespoke cycle hub consisting of WC, showering and changing facilities, lockers, and secure cycle storage facilities on a membership basis.